This year at Crick Boat Show 2018 celebrates our first year of business trading, we officially started trading on Saturday 27th May 2017 at Crick, and we have had fantastic first year providing many quality products to happy customers. We are, therefore, excited to announce that we have decided to double our stand size for 2018. This means you are able to buy, try or see many more of our most popular products including our blind ranges, roman blinds, venetian blinds, curtains, porthole bungs, roller blinds, and door window bungs. Customers can order made to measure window furnishings with devices to ensure the product stays flush with sloping walls. 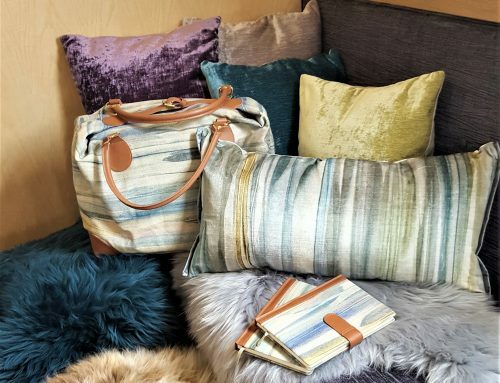 You will be able to see our selection of beautifully designed fabrics from brands such as Voyage, Sophie Allport, Bronte Moon & Sunbrella, and our ranges that can match your boat interiors with galley accessories such as oven gloves, aprons, tea towels, mugs, plates and jugs. You can further enhance your home comforts with our sheepskin range of rugs, cushions and footstools. For guaranteed comfort & a relaxing rest after a long days cruising, you are invited to try our luxury reclining chairs including the Ruby recliner chair, the Ikon Lunar self-reclining chair and the Timeout reclining chair. You can aslo see the high quality demonstration seat cushions on display, if fixed seating is your preferred choice, and can discuss the made to measure upholstery service on offer. Outdoor seating, made to measure your stern or bow lockers, with a choice of technical outdoor fabrics & Aqua quick dry foam. Duvalay sleeping bags, luxury sleeping bags easy to store, roll out & wash, to insure a warm cozy night sleep anywhere. 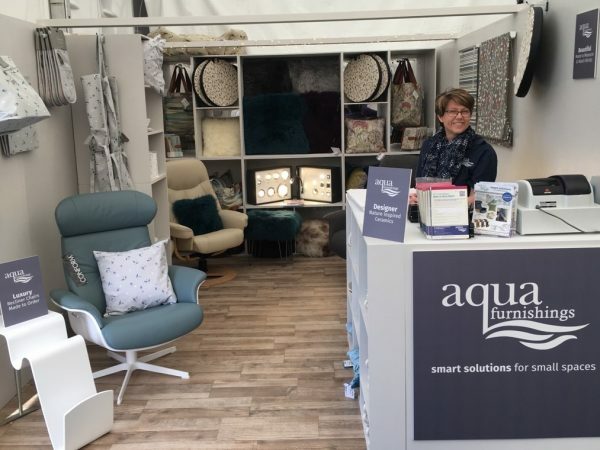 Sales Manager Alex Hudson-Oldroyd and Office Manager Laura Harris will welcome you to the Aqua Furnishings stand in the Waterways World Marquee at Crick. They are very friendly so pop in and say hello, see our products, book an appointment or discuss your boating interior ideas.